Microsoft is no stranger to improving collaboration with their solutions, as many of them were meant to do just that - improve collaboration. Below, we’ll discuss three such solutions, and how you can optimize your use of them for collaboration purposes. While OneDrive for Business’ collaboration really shines when paired with Microsoft Teams, a user isn’t constrained to working within Teams exclusively. 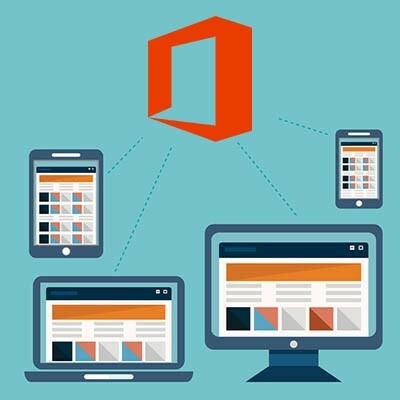 OneDrive also enables file sharing with someone external to the team in Word, Excel, or PowerPoint. In the application, click Share, which can be found in the upper right-hand corner. You will be presented with a dialog box that gives you a few options. Either you can enter the person’s name or email to send it, or you can get a copy of the link to share with them through other means. However, if you’re trying to share the document with someone outside of your organization, you will need to select the dropdown at the top of the dialog box and say that Specific People can access your file. Once this has been done, these approved users can all edit the file at the same time, in real time, assuming that the link was sent with Allow Editing checked in the dialog box. Keep in mind, this is only for documents that are saved in OneDrive. In the Navigation Ribbon, click the Home tab. In the Groups section, click New Group. Name your new group in the Choose a name field. The group will be given a suggested email address in the field immediately below, if it is available. Remember, your group name cannot be changed. In the Description field, write a brief mission statement for your group, remembering that it will be shared in every welcome email sent to new group members. Set your group’s Classification from the options provided by your organization. Identify your group’s Privacy level. This defaults to private, where group content is only visible to approved group members, while there is a public option, where anyone in your organization can join and view content. You also have the option to send all of the group’s conversations and any events to all members’ inboxes. They can later change this setting. Once you click Create, you’re done! Again, yes, this is technically an application designed for communicating and collaborating, but it also integrates with Outlook to communicate a very useful detail: whether or not a person is available at a given time, depending on what a contact’s Outlook calendar dictates. Therefore, if you’re currently in a meeting, your Skype presence will reflect that you are unavailable. Of course, this feature also allows you to schedule a meeting, even allowing you to list out the topics that meeting will cover and the tasks that you plan to accomplish during a conversation. Using these Microsoft solutions can help you improve collaboration and communication in your business. Tell us, do you use these tools already, or do you have a different set of favorites that allow you and your staff to collaborate? Let us know what they are in the comments!